In the late 20th century and throughout the 21st century, there has been an unmistakable resurgence of the name of Nero. We see this phenomenon in mainstream media, marketing, and merchandise outlets, also in entertainment and scientific circles. That cannot be said of any other figure in history; certainly not an ancient Roman Emperor who used to be remembered more for his cruelty, especially to Christians, than his popularity with the average Roman citizen. This is no coincidence. There is a Biblical prophetic reason for this unprecedented revival of Nero’s name in our generation. It fits with many other “signs of the times” most of which are predicted in Scripture and some of which are derivative of and associated with Biblical prophecy. In this week’s article we’ll examine some surprising but woeful ways in which Nero’s name has been promoted prominently by a variety of sources. Some of these people and organizations have deliberately used Nero’s name and others may have done so inadvertently. Either way, this monstrous man and his notorious name has been contemporarily characterized (even celebrated) in a positive, if not favorable, light. It’s the kind of veneration that should be reserved for honorable rulers and leaders of the past and present. It is word association and name tagging at its worst. Nero was deposed as Caesar primarily because he fell out of favor with the Roman Senate that had grown seriously tired of his immoral excesses and what they perceived as his political ineptness, both of which exemplified the latter part of his reign. Yet, the average Roman lauded him for the “good” things he had done for them in the early years of his reign, such as lowering taxes. More than anything, it was a treaty that Nero orchestrated between the Roman Empire and Rome’s mortal enemy, Parthia (63 AD), which at that time endeared him to the Roman Senate, the Roman Legions, and the common Roman citizen. Let’s begin with a brief review of this despicable tyrant’s legend, as presented in Chapters 19 & 20 of my second book, Out of the Abyss; as touched on in a few Eye of Prophecy articles; and as covered exclusively in the Eye of Prophecy article, The Legendary Return of Nero, posted in April, 2015. From the 1st century AD well into the 5th century AD, both Christians and the secular populace of the Roman Empire persistently believed that Nero would return as Caesar after he was killed in June, 68 AD. It was such a prevalent conviction that historians gave it a name: Nero Redivivus Legend. Readily apparent in the last line of this quote is Augustine’s personal opinion that the Nero Redivivus Legend was just that: a (very questionable) supposition that Nero was not dead … he either didn’t die or had been revived after death. That he had been (bodily) concealed and preserved at the very age at which he died. With the most amazing feature of this pervasive, already centuries-old belief: he would return and be restored to his kingdom! Notice two things here: (1) Even though Augustine did not subscribe to the prevailing Christian belief that Nero was the man of lawlessness and would return as the Antichrist beast, he did objectively report that this was still a wide-spread, well-known view held by believers … some three centuries after Nero had died! (2) Nor is there any indication that Saint Augustine disputed (by virtue of not even commenting on the veracity of it) the clear evidence of Revelation 17:7-8, which unequivocally states the beast (Antichrist) had already lived and died before Revelation was written, and that he would reappear from the Abyss. The only doubt held by Augustine was that all of the prophecies about the Antichrist applied to Nero. Yet, by his own report, it’s crystal clear that many Christians firmly held to that belief. The accuracy of their understanding would have been even more evident to believers when Roman Legions led by Titus destroyed Jerusalem and the Temple in 70 AD. They knew that it was Nero who had personally commissioned Vespasian and Titus to crush the Jewish uprising. This fits perfectly with Daniel’s famous prophecy: “…the Anointed One will be killed … and a ruler will arise whose armies will destroy the city and the Temple…” (Daniel 9:26). The contextual and grammatical possessive attachment (whose) between the ruler who would arise (after Messiah Jesus was killed) and the ruler’s armies that would destroy the Temple is overwhelmingly clear. 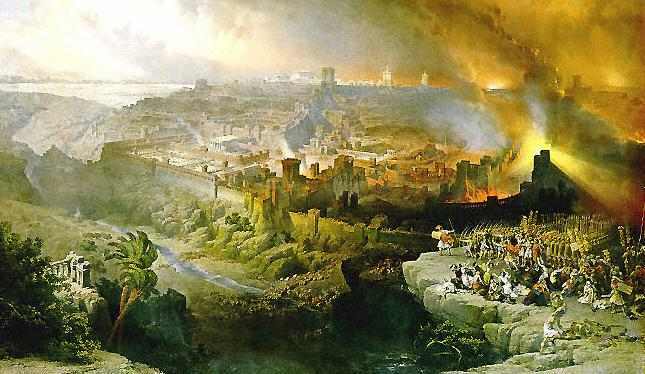 The ruler was none other than Nero, and it was his (“whose”) armies that demolished the Temple. The astounding fulfilment of this prophecy was lost to believers sometime during the Dark Ages and subsequently misunderstood by prophecy scholars to this very day. Including the indisputable fact that Antichrist lived and died before the book of Revelation was written, but that he would reappear from the Abyss at the outset of the Great Tribulation (Revelation 17:7-8). That is why the Lord gave me these disclosures which led to the writing of Out of the Abyss and then to the Eye of Prophecy website. These are certainly not some off-the-wall speculations. However, to determine that for yourself, I would encourage you to read Out of the Abyss, or at least several Eye of Prophecy articles in the category of Antichrist. As I have said before and will repeat for emphasis: My discernment of Antichrist’s identity was not new; rather it is a rediscovery of what early Christians knew to be true (in their time). 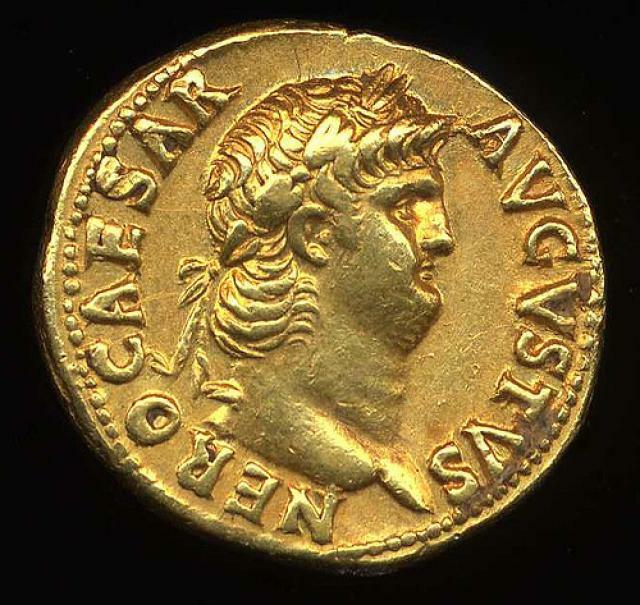 As indicated, Nero had been wildly popular throughout most of the Roman Empire. The common people passionately adored him for several decades after his death as did some of the nobility including a few Caesars, and also (though lessened by the passage of time) for centuries thereafter. Not only did Christians subscribe to this Biblically supported premise of Nero’s return; so did thousands upon thousands of non-Christians throughout the Roman Empire as well as in Parthia, a nation descended at the time from the ancient Persian Empire. 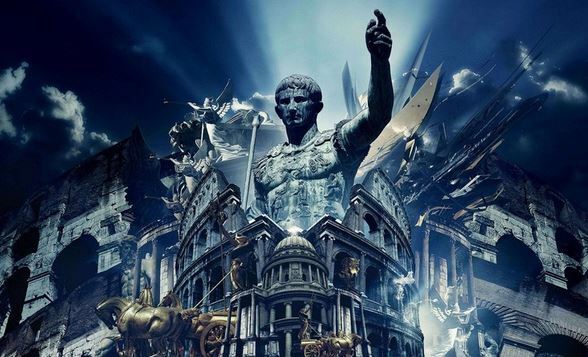 They longed for and actually expected Nero to return as Emperor; that his reinstatement as Caesar would magnify and realize their ardent desire for a Pax Romana (world peace and utopia) beyond their wildest dreams. Naturally, the secular populace didn’t tag Nero as a man of lawlessness or a beast; those labels would have been fighting words to them. However, I don’t think the appellation of anti-Christ would have bothered them in the least. Until the Roman Emperor Constantine turned Christianity into the state-religion in the 4th century—that morphed into the cultic Roman Catholic Church—they would have applauded the idea of Nero as the “Antichrist.” For the reason that most Romans and people from other nations had little toleration for Christians, to the extreme that many hated these Christ followers. Between Nero and Vespasian, three pseudo-emperors (who many historians do not accredit as bona-fide Caesars due to the civil-war upheaval in Italy) assumed the throne: Galba, Otho, and Vitellius. The latter two lauded Nero far beyond what any normal successor would do, to the extreme of divine eulogies of Nero, rebuilding his statues, and staging his Greek plays during their coronation and very brief reigns. Some thirty years later in further honor of Nero, the Emperor Domitian ordered the execution of Nero’s servant, Epaphraditos, who struck the fatal blows with a sword that killed Nero—because Nero was too cowardly to take his own life. During that same thirty-year period of time, three impersonators claimed they were Nero, with one of them taken very seriously by many in the Roman Empire, enough to start an uprising against Rome that was quickly crushed. There were some who believed that Nero had not died (despite credible evidence to the contrary). Whether they thought he had died or not, many expected him to return and reclaim the Roman throne. Imagine if 20th century despots like Adolph Hitler and Joseph Stalin, or (going back a little farther in history) Napoleon were to suddenly return from their graves. Though there are a few “Neo-Nazis” in Germany and the world at large, the greater populace of Germany and all over this Globe would do anything possible to prevent Hitler from returning to power, no matter how amazed they might be at his reappearance. The same with Russians (Stalin) and the French (Napoleon). Not so had Nero returned in the first few centuries after his death. And not so in today’s world! “I saw that one of the heads of the beast (Antichrist) seemed wounded beyond recovery—but the fatal wound was healed! The whole world marveled at this miracle and gave allegiance to the beast. They worshiped the dragon (Satan) for giving the beast such power, and they also worshipped the beast. ‘Who is as great as the beast?’ they exclaimed. ‘Who is able to fight against him?’ Then the beast was allowed to speak great blasphemies against God…” (Revelation 13:3-5, parenthesis mine). All that is being made possible by the shocking modern-day recovery of Nero and his name. Historian Lactantius contended that the circumstances surrounding Nero’s death were such that Nero suddenly disappeared; that even the burial site was nowhere to be found. He suggested that with reasonable speculation it was conceivable that Nero might have been transported to a distant region, preserved and reserved for a future purpose. In Out of the Abyss, I commented on Lactantius’ historical report on Nero: One can only wonder whether Lactantius was completely serious or partially facetious; however, little did he realize that he had tapped one of the most fascinating reservoirs in the Bible… Here I was referring to the Scriptural fact that the Antichrist beast would reappear from the Abyss, with the all too obvious conclusion that he had to have been placed in the Abyss (by Christ) before he could be released from such a distant region. This account strongly reflects the general mentality of Roman citizens as having been quite pleased with Nero; that they would have permitted him to reign indefinitely. Moreover, did you catch his phrase, the great majority? The first five articles posted on the Eye of Prophecy website (beginning in July, 2013), were about the Rapture. Shortly thereafter, a series of five articles on the Antichrist, beginning with Modern Day Antichrist (posted 9-7-13) and ending with The Beast And His Name (10-5-13). In preparation and research for that fifth article, I was surprised to find five entities that bore the name of Nero. In preparation for this week’s article, I was stunned to discover many more than five, some of which have their inception after my 2013 article. In chronological order, including the five mentioned in the 2013 Eye of Prophecy article, The Beast and His Name, let’s take an up close and personal look at fifteen (there are more) of them and their start-up year. There have been at least nine editions of their Rule Book. Astonishing! I have no idea what’s involved in LARP fraternities or what kind of games they play; nor do I really care to know. Obviously, my interest pertains to a “role-playing” group that uses the name of Nero. I’m sure that someone involved in these LARP clubs would ask me what planet I live on, because I know virtually nothing about the 50 plus NERO LARP chapters in the United States, Canada, and South Africa. 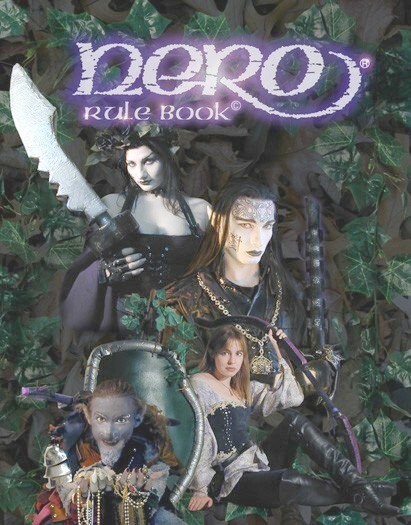 And, I’m sure I’d get in trouble if I changed the acronym of LARP to Laughing at Role Players. Because it sounds like Larpers play some pretty serious games. Yet, here we have a fairly large establishment dedicated in some fashion to the arts, to the new age (sorcery), to acting out fantasies (I would hope their rules limit what they can do or say), and to defeating all adversaries with either the sword or sorcery. Undoubtedly, Nero (self-acclaimed artist extraordinaire) would have reveled in such company, although he would have written the rules himself! Extracting key words and phrases from this short company profile alone, it’s not at all speculative to see why the founders of this company may have called it, N E R O. Actually, the very fact that they used the name of Nero says volumes. Notice the mention of “Italian” (leather) and “classic lines” in a “modern twist.” Playing word association, the connection is quite apparent … Nero, the Roman (Italian) Emperor from (classic) antiquity. Add to that the Biblical prophecy that Nero will return with a “modern twist,” meaning a reappearance of this “twisted man.” for equally twisted Satanic purposes (See II Thessalonians 2:9). And did you notice the company profile boasts that their watches and stationary … “have an avid cult following world-wide.” Nero will certainly do and have that upon return. Am I reading too much into these seemingly innocuous words? The founders of a computer software business that began in 1995 with the organizational name of Ahead Software inexplicably changed the name of this company to Nero AG or Nero, Inc. in 2005. It grew from a handful of employees to a staff of 500 employees in 2009, and still growing. Product sales number in the hundreds of millions world-wide. Their products include all-in-one burning software to enable electronic writing of audio, video, and data for CDs or DVDs. 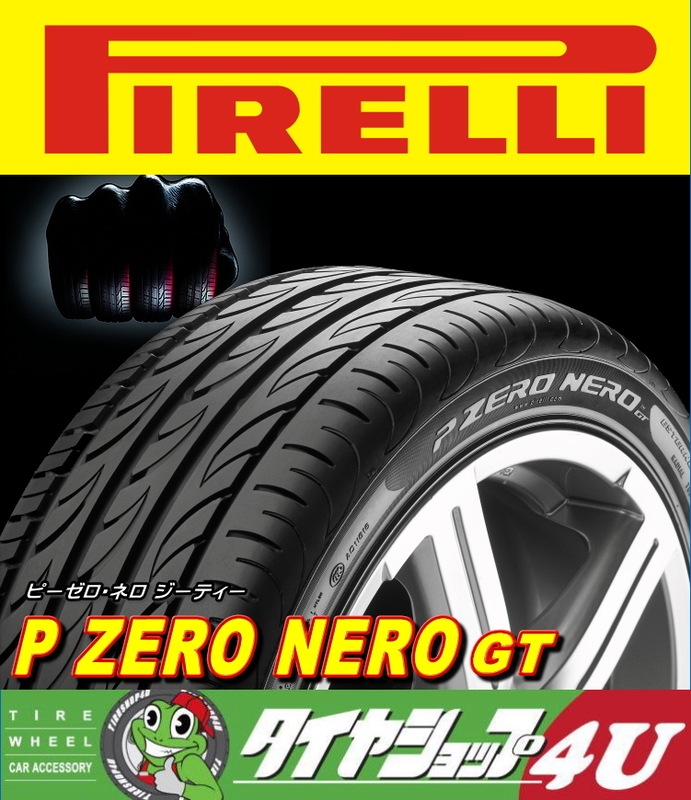 Although speculation, it’s likely the name of Nero was chosen to represent the main product of the company, i.e. new technology in the burning of CDs and DVDs. Why? Whatever else people the world over remember about Nero, most recall his main epitaph: “Nero fiddled while Rome burned.” Of course, the fiddle wasn’t even invented until hundreds of years after Nero died, but who cares about the facts! It wouldn’t take much imagination to visualize how Nero, himself, could and probably will use a company like this to manipulate the media. Since his last words reportedly were (paraphrasing), “The world is losing such a great artist,” he very well could manipulate such technology to compose and transmit “content for your home entertainment.” This entertainment could be another play that he might write (he wrote and performed several plays during his reign as Emperor) or images of beheaded Christians, once he resumes the savage vendetta that he initiated against Christians in the first century. A British electronic music duo, then trio has risen to fame in the 21st century. Their single, Doomsday, was a big hit and is featured in the trailer for a movie, The World’s End, released in 2013. In 2011, this rock group’s production of Welcome Reality won the award for Best Album. One can only wonder why the two young men who started this band chose the name of Nero. But when was the last time a rock group named their band after a long-dead Roman Emperor … and why Nero? As indicated earlier, Nero Caesar was a self-proclaimed artist who, during the final years of his reign, was far more interested in flaunting his artistic genius (Nero’s own opinion of himself) throughout the civilized world than in running the Roman Empire. In fact, this is one of the main reasons why he fell out of favor with the Roman Senate and subsequently the Roman Generals. They didn’t like the idea of a “god-like” Roman emperor spending all his time in Greece and making a fool of himself while spouting poetry and playing the lyre in Greek theatres. History tells us that he desperately wanted to be popular throughout his entire empire; later in his reign he wrote and performed plays (in Greek) to promote this recognition. And what a head start when he returns from the Abyss: a rock-group that already bears his name! 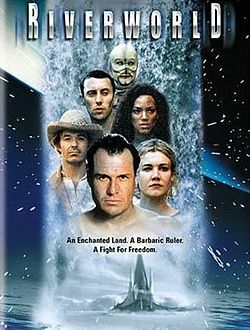 River World is the title of a science-fiction movie starring Brad Johnson, who was also one of the main actors in the Left Behind movie and the sequel. The main plot of River World involves people who are brought back to life, but with the same age-old struggle of good versus evil. In both movies Brad plays a good guy, but exceptionally intriguing is the identity of the antagonist. In Left Behind, the arch-enemy is the Antichrist given the name of Nicolae Carpathia, from the novels written by Jerry Jenkins and Tim LaHaye. In River World, the adversary who seeks to dominate all those “reborn” in this new world is none other than Nero … played by Jonathan Cake! It’s highly unlikely that the author or producers of River World had any interest in Biblical end-times prophecies, although most people on Planet Earth have heard or read the term Antichrist. In the movie those who were allowed to return to earth did so by coming up out of the sea (in some sort of cocoon-like tubes). The depiction of this Back to the Future-like return was eerily akin to the soon-to-come reappearance of the Antichrist beast from the Abyssal Sea. According to Revelation 13:1, the Beast will arise from the Sea. Then Revelation 17:8 states he will come out of the Abyss. In my book Out of the Abyss, I provide compelling Biblical and modern-day geographical documentation and analysis to show that the Abyss is beneath the oceans (seas). Although that’s a mouthful, the terminology is intriguing, especially in the context of their latest product, NerO, which was designed to enhance the operation of circuit boards. Among many other things Antichrist Nero will undoubtedly undertake (The False Prophet will order it done) is the creation of a body chip—already in prototype existence—specifically designed for his diabolical scheme to literally embed his name or number on the forehead or right hand of many people left behind at the Rapture (Revelation 13:16-18). As alluded to earlier, it’s possible that some of the organizations or entities bearing the name of Nero (listed in today’s article and those not listed) may have arrived unintentionally at the appellation of Nero, such as this electronic video game released last year. However, it’s much more likely that the name of Nero was first chosen, with the actual title of the game created to fit his name … in other words not an accidental acronym that just happened to spell NERO. The developer of this video game is listed as: Storm in a Teacup. The publisher is: SOEDESCO Publishing. Those left behind at the Rapture will learn very quickly and all too well that the infamous number of the beast (six hundred and sixty-six) is the decoded gematria representation of Nero’s name. And the occult “magic” of the statue erected that literally speaks for Nero will be more than enough for people to worship him and also his statue (see Revelation 13). 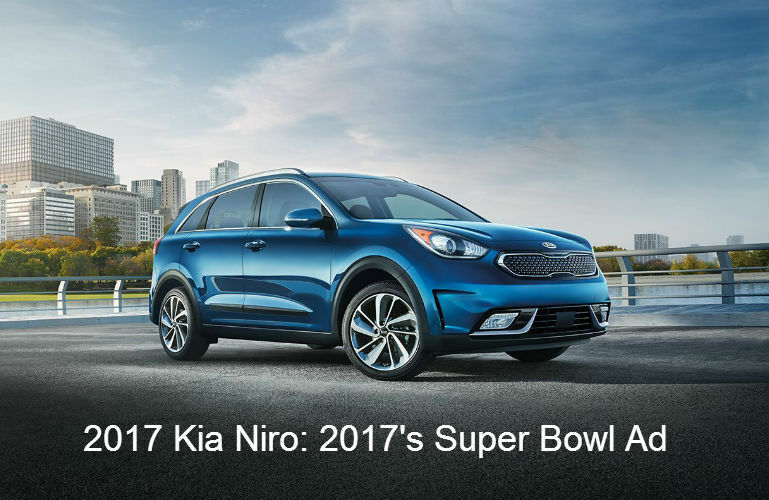 The rejuvenation of Nero’s name in everyday life is nowhere more globally conspicuous than the automobile Niro, introduced in 2016 by Kia Motor Corporation of South Korea. Never mind that the spelling is one letter different. The connotation and association with Nero is obvious. I’m guessing that the owners of Kia wanted a world-famous figure attached to their new model, but possibly cringed a little at the thought of using the actual spelling of such an infamous name. Whatever their rationale, hundreds of millions of people all over the Globe have heard or will soon hear about the Kia Niro—whether they buy one or not. Millions more (like me) first found out that there was an automobile named after Mr. Six Hundred and Sixty-Six while watching the now famous Super Bowl commercial just a few weeks ago. Have you seen it? It’s still being aired world-wide. I’m talking about the 60 second commercial featuring well-known comedian Melissa McCarthy. It is flat-out funny, probably one of the best car commercials ever made. In fact, it won the award for best Super Bowl Ad this year. As many people know (even those who don’t normally follow football), the Super Bowl has gained a reputation for some of the best TV commercials anytime, anywhere. For an advertiser to win this award is as big as or bigger for them than victory is for the team who wins the Super Bowl. Yes, even an automobile has been named after Nero, along with all of the other people, places, and things that bear the disreputable name of this atrocious autocrat. By the time he reappears from the Abyss (which is soon) billions on this planet—in addition to their amazement at his return from the grave—will already be attuned, adjusted, and otherwise acclimated to the current resurrection of his name in byword or buzz word fashion. I couldn’t locate a start-up date for this company, which is why I’ve placed it last in line of the dated Nero affiliates and the first in line for other (non-dated) products that bear his name. It began as a research project in Oregon by an Engineering Graduate School that wanted to develop high-speed internet for education and research. One can only speculate if the founders deliberately chose Nero’s name, then used the acronym to come up with the organization name. However, if they had simply omitted Oregon, then the acronym NERO wouldn’t fit. Thus, it appears that they purposely wanted the abbreviated version of their group to bear the name of Nero. Either way, it’s yet another instance of this evil man’s name rising to pathetic prominence in just the last three-four decades. *Note: because of the undue length of time to find (even on the internet) the start-up date of the following businesses or products, the date has been omitted. I’m assuming that most or all of them are somewhat recent. Nevertheless, they will be numbered to further demonstrate the startling number of entities bearing Nero’s name. 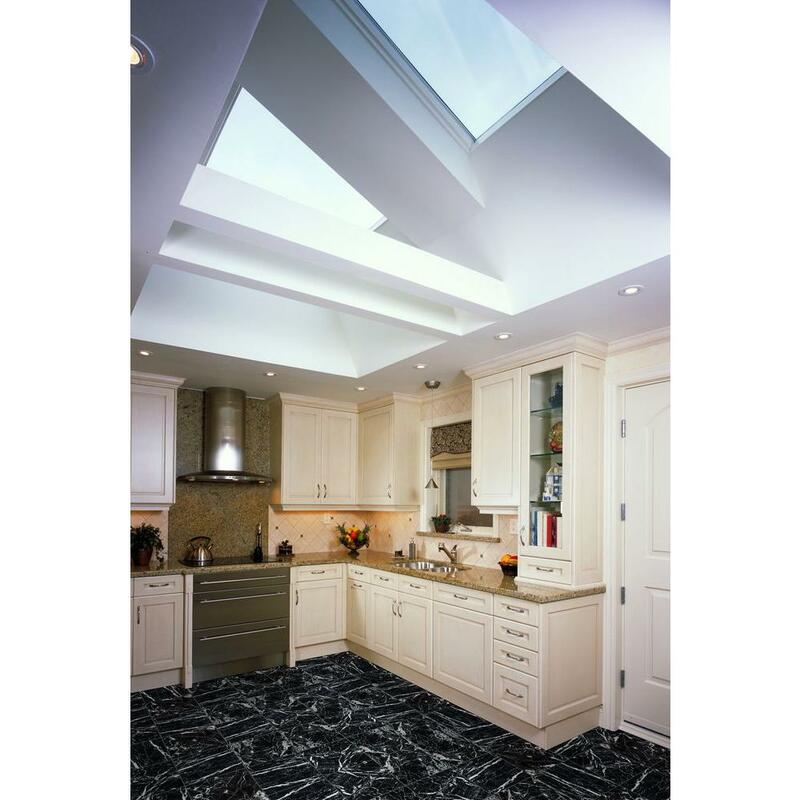 Below is a photo taken directly from the website of Home Depot which is just one of many retail outlets for Nero Tile … marble, porcelain, ceramic and glass tiles. *Note: the word nero in Italian means, black. It just so happens that the tile depicted is mostly black. But there are many more colors, shapes, and sizes of Nero tile available. 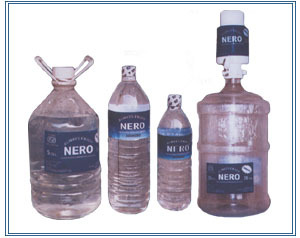 Hence, the dubbing of Nero for this product is clearly linked to his name (the Roman Emperor), not just the color black. Nero’s Grand Palace and other structures he built were replete with expensive and exotic tile. Manufactured by the internationally acclaimed company, Pirelli in Milan, Italy. Nero’s Pizza in Jacksonville, FL; Nero’s Tuscan Steakhouse in Atlantic City, N.J.; Nero’s Grill in Livingston, N.J., and Nero’s Steakhouse in Windsor, Ontario (and others). That’s right, even bottles and bottled water named after this wicked dictator. The “reusable” feature grabbed my attention, conjuring up images of Nero being reused by Satan to complete what Satan started in the 1st century with Antichrist Nero, and will try to finish when the Lord allows this (recycled) megalomaniac to return from the Abyss. Only comment here is that Nero will need a ton of air conditioning when he ends up for all eternity in the Lake of Fire (Revelation 19:20). There were some twenty of these found on the internet (there are probably more). 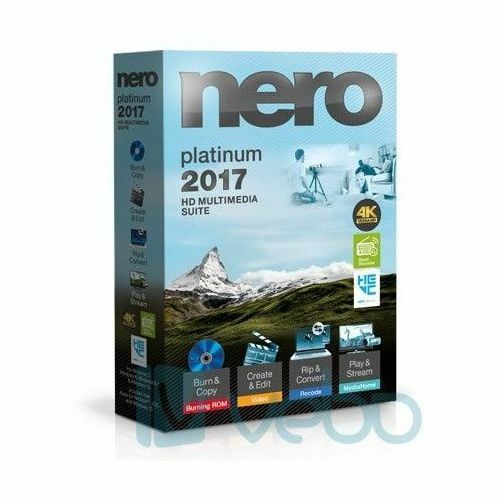 For sake of space/time, I will list only six, particularly those companies which more likely than not chose the name of Nero, then named their company as an acronym or abbreviation of his name. This becomes even more apparent when at least one of the component parts of the company name could have easily been substituted for another word. Such as Institute, Company, Establishment, Club, Society, or Association in place of Organization. These have been grouped as the last number in our total list of Nero named entities. National Egg Regulatory Officials (NERO) *I’m not making this up! There is such an organization. Yet, even this will fit with what Nero is capable of and may very well do upon his return. Meaning possible reproduction control of certain ethnic or racial groups, or particularly of the Tribulation saints. Neutron Emission Ratio Observer (NERO) *I didn’t make this one up either! Although not a product or company or group as such, the above titled article written by Robert Draper was published in the world-famous National Geographic Magazine in 2014. I’ve taken this out of chronological order simply to save it for the last reference in this week’s Eye of Prophecy article regarding the extraordinary exposure and remarkable resurgence of Nero’s name. In general the article was about Nero himself; one that included information about partial restoration of Nero’s Golden Palace (Domus Aurea) subsequently opened to the public, but shut down in 2010 due to partial collapse of its roof. (Note: I have no doubt that this exhibit will be reopened before the Rapture or most likely when Nero reappears … he’ll see to it. 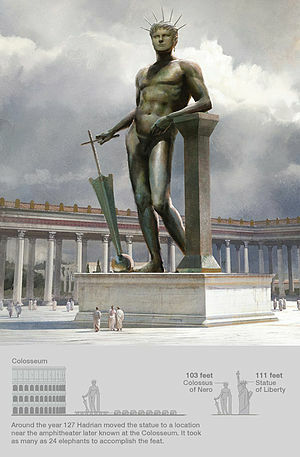 “The world-famous amphitheater (Colosseum) … was apparently named for the more than 100-foot-tall bronze statue of Nero depicted as the sun god—the Colossus Neronis—that once loomed over the valley. (*Note: I didn’t read this National Geographic article until all of this week’s Eye of Prophecy article had been written up to the point of “Rethinking Nero.” Although I deplore what Roberto Gervaso thinks and says about Nero, I found it interesting that he also referred to Hitler and Stalin by comparison to Nero, as did I earlier in today’s article. However, my comparison was in a different context and for a different reason). What this biographer said about Nero is absolutely unmistakable, as is the nostalgic way in which he said it. He wants Nero, his name, and his image to be redefined and readjusted to be more (different) than just a “monster.” To be the avant-garde Renaissance type man who Gervaso believes Nero really was. With the obvious inference that the “good” in Nero far outweighed the bad. That’s exactly what is happening the world over, sometimes subtlety with such things as tires and tiles. But more overtly with such things as cars and video games and people like Roberto Gervaso who want Nero back in the limelight … apparently, you would think, to the point of wishing he would return! Little do they know that they will get their wish. And when they take the mark of the beast they will go down in flames along with their hero. It is truly remarkable in an adversely twisted way that the name of Nero has reappeared in the 20th and 21st centuries and in mainstream media and products at that. That cannot be said of any other ruler, especially one from the ancient 1st century AD. We still hear or read the name of Hitler, but always in a negative way and rightfully so. And we see things named after famous leaders who are characterized as good figures of history. Such as JFK airport in New York. Or the Lincoln Town Car. But not of sadistically immoral, brutal tyrants such as Nero. Not, that is, until our generation. I firmly believe that the resurgence of Nero and his name is no mere coincidence. Instead, it is a Satanic driven preparation to the reappearance of this evil man, himself. Yet, God’s plan and purpose will prevail, as found in the truth of Scripture. Jesus Christ is Alpha and Omega, the first and the last. He came first to the earth as the Son of God and the Son of Man. He was crucified and buried for our sins. He arose from the dead and ascended back to heaven just 3-4 years before Nero was born. Christ was the first … the only true Messiah. Jesus will return to earth after Nero is given 42 months to convince the world that he is their superman savior. Jesus will be the last. He will have the final say, and of his kingdom there will be no end (Daniel 2:44). As stated in a few Eye of Prophecy articles, the purpose for knowing the identity of Antichrist both now and especially for people left behind at the Rapture is so as not to be amazed at the reappearance of Nero. (Rev. 17:8 and 13:4). And to choose Jesus as their true Messiah Savior, now. If you are among those left behind, the choice will be so much more agonizingly difficult. Somewhat like the choice of Christians in today’s world upon pain of torture and death at the hands of ISIS and other radical Islamic groups in Africa and the Middle East. But after the Rapture it will be globally multiplied exponentially. “For there will be greater anguish than at any time since the world began. And it will never be so great again. In fact, unless that time of calamity is shortened, not a single person will survive. But it will be shortened for the sake of God’s chosen ones. Then if anyone tells you, ‘Look, here is the Messiah,’ or ‘There he is,’ don’t believe it” (Words of Jesus, Matthew 24:21-23). Please don’t wait until it’s too late.